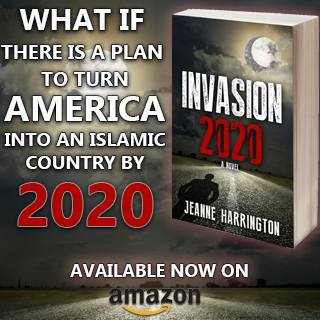 But more has to be done to repair the now-damaged relationship between the Chicago Cubs and Muslim fans, said Ahmed Rehab, executive director of the Chicago branch of designated terrorist group CAIR (Council on American-Islamic Relations). Rehab said CAIR-Chicago plans to meet with Tom Ricketts on Friday to explain how Muslim fans feel “rejected and isolated” by their team. He said he would like to see the Cubs take a strong stance against the “repugnant anti-Muslim beliefs” in Joe Ricketts’ emails. “We will also discuss possible ways forward to fix what’s been broken and regain confidence, trust, and belonging,” Rehab said. 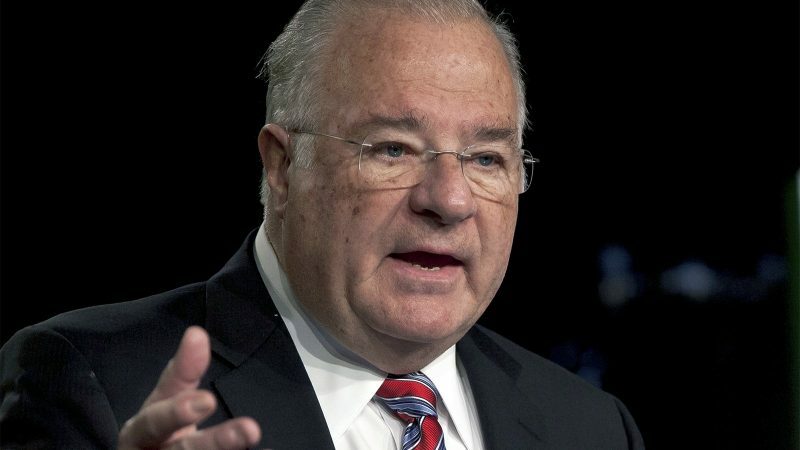 Joe Ricketts, 77, reportedlysold 34 million TD Ameritrade shares for about $403 million to purchase the Chicago Cubs. His four children are now co-owners of the team. The elder Ricketts is also an influential political donor who has spent millions promoting Republican candidates. He donated $1 million to Donald Trump’s 2016 campaign. Well its all about silencing critics of the Islamic State invasion, to make everyone ‘obey’ Bedouin Supremacist scum. Terrible to see such a great business man & person being subjected to the brat tantrums of the narcissistic islamics. Mr. Ricketts, Why are you LEGITIMIZING a Muslim TERRORIST linked organization, CAIR, by communicating with them?? Mr Ricketts, You OBEYED God and told the TRUTH about Islam. How can you apologize for telling the truth? How can you apologize for OBEYING GOD? One of the Ten Commandments: “YOU SHALL NOT BEAR FALSE WITNESS. The NT Bible says, Have no fellowship with the unfruitful works of darkness, but instead even expose them. Mr. Ricketts, Ask God for His forgiveness. Over 1,400 years, Hundreds of Millions of our non-Muslim brothers and sisters have been savagely slaughtered by Muslims OBEYING Bloodthirsty Quran commands. CAIR will probably want to have Muslims on the team so the game can be stopped while they pray. Islam is a cult. Has never been a religion and I can prove hat the Quran was never written by a God, but by an ignorant man. Our Assumption is that God is all knowing, all seeing, can not make any mistakes, knows the future and that the Quran is perfect, unadulterated and is written in Arabic in heaven. The Quran says that the sun sets in a muddy pond. WRONG!!! The Quran says that the earth is flat. WRONG!!! And that stars/shooting stars are missels God uses to keep Jinns out of heaven. WRONG!!! Three mistakes from a so called perfect God or man. A school child knows that such statements are false so how could a God not know these fundamental truths? So what other bs is there in that book that is wrong and so far from the truth that if that info was true, that is one “God” I would never want to meet. Tell CAIR to go kiss a camels keister! I defy anyone to prove that islam is not a cult! I have renamed it as the Pernicious Cult of the Pedophilic Mass Murdering Sub-Human Slug (PCPMMSS). Having read the un-holy koran twice, I have yet to find the word love without the “not” preceding the love. I keep it in the bathroom since that is the only fitting place to read it because one almost has to throw up after a few pages and sooner or later I shall start using it as toilet paper. I know six year old children who could have written a better book. What muslim fans? Sports are haram in islam. The only so-called sports allowed in islam are ones directly related to combat. Never should have apologized. Especially when you’re right. After all, muslims sure as hell don’t, and they’re at fault all the time. Nikki, There is at least one more sport to mention in the cult’s society which is how many ways can a husband (or more correctly a slave owner) make his slave (wife) perform for him in the bedroom. Exactly. What Muslum fans? CAIR is trying to make it like Muslums are all powerful. In reality, a Muslum sports fan is very rare in American sports. The only sport I’ve ever seen a Muslum into is soccer, and that’s haram too. Regardless, he should never apologize for the truth, or a confidential conversation. Appeasing a bully is just chumming the water, once they smell blood it’s over. HE SHOULD NEVER HAVE APOLOGIZED !! He told the truth! If these emails are from a friend to a friend or Father to Son, then how come they are the public domain, are they not private, so who hacked into his PRIVATE email account, that seems much more important than whatever his opinion of islam or isnt, no matter how correct he is. I smell a money deal coming soon… CAIR are an evil outfit ran by two bit hustlers like Hamas. Andrew, That’s why he never should have apologized. Obviously, they have no idea what CAIR really is. 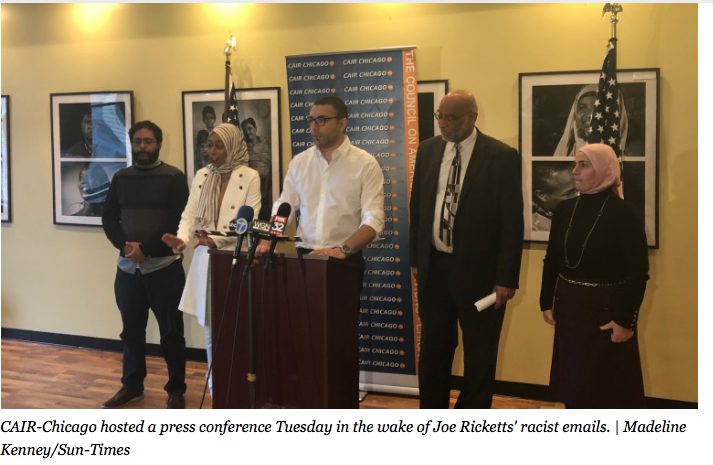 I think Joe Ricketts knows what CAIR is, but his kids don’t – his daughter is a lesbian, and the Cubs play in the World’s Largest Gay Bar (aka Wrigley Field), situated near the Boystown neighborhood. I believe the kids made him apologize, citing cultural “divershitty” and all that. Perhaps CAIR wants to get a “buzkashi” franchise in America, and use Wrigley Field as their home. If his daughter is a lesbian, she should live in fear of Muslims. Then again, she likely never heard of what they do to homosexuals. Andrew, I was thinking the same thing, before I read your valid comment. I suspect a third party received a copy of their e-mail and betrayed them. I had experience once in the business world of betrayal and I had to deal with that person head-on and I never give any quarter, never have, never will. 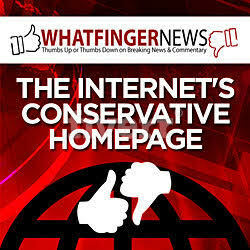 As John Wayne often has said in his films, “Never Apologise… it’s a sign of weakness”. In other words… get it right so we never have to apologise and if we are correct, never ever change our position, hold our ground unto death. 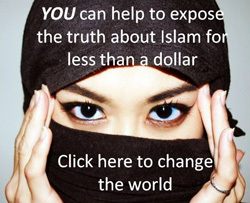 With all that I have published against Islam, I am surprised CAIR has not gone after me. But then CAIR would lose, I never apologise for the truth I have recorded for the philosophical history books. Never apologize for calling evil evil.